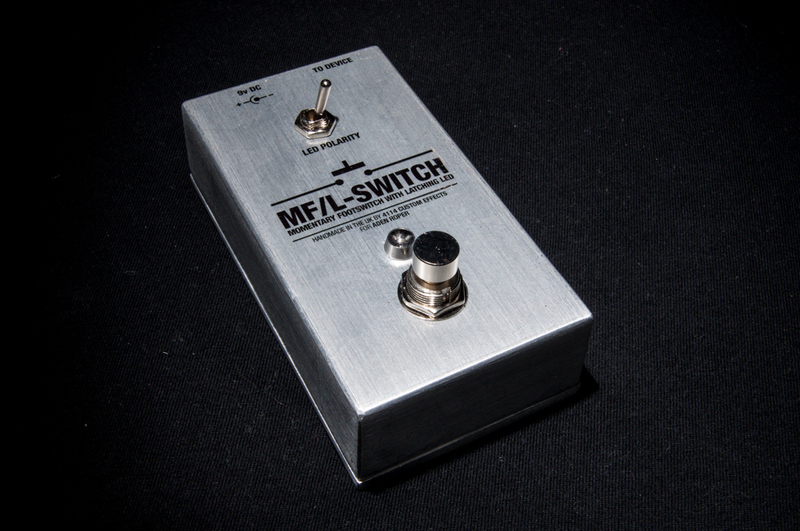 Here’s an interesting one for you: Custom built switching unit, made to client specific requirements – the footswitch is momentary, but the bright blue led is latching and stays lit. Includes a LED polarity switch so you can keep it synchronised with whatever you’re switching. Ideal for mixing desks that only accept a momentary input for the reverb, so you can easily see whether it’s switched on or not on stage. Contact me if you’d like to order one! The Gypsy vibe is simply stunning! I love it and will definitely find good use for it. You absolute boss. Worked like a bloody charm. Really pleased with it. Thanks a lot.